Torque Converter Nuts - Set of 4 - Ford. 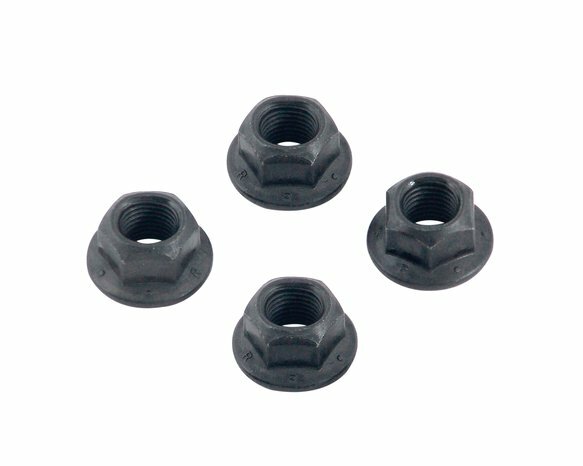 MRG Torque Converter to Flex Plate Bolts are forged from high quality steel and heat-treated for extra strength, these Grade 8 fasteners are a must for all hi-performance applications. Black plated finish helps resist rust and corrosion. Kits are complete with lock washers, where needed. Application: Ford 3/8"-24 (flanged lock nuts only) 4 per set.